Khara E. House: Where is the Dream ... And Where are the Dreamers? Where is the Dream ... And Where are the Dreamers? In anticipation of Martin Luther King, Jr. Day 2018, I have been reading Dr. King’s words as put down in history books and anthologies, the records of the great speeches of one of the greatest orators our nation has ever known. 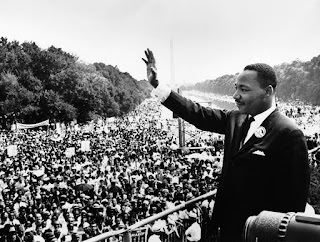 And I admit I have found myself longing for the opposite of Dr. King’s wish shared in his Mountain Top speech delivered on the eve of his own assassination, in which he envisioned the Almighty asking him in which age he would like to live and found himself longing, beyond his own hope and history’s reality, to live to see his own tomorrow. Instead I find myself longing to be that proverbial fly on the walls of history. If I could I would pray myself to those days of walking among giants whose soft-spoken words of change and justice still echo through the caverns of the status quo and crack the mighty mountain of injustice which my forbearers climbed for me. I long to see the faces of those who dared to dream that a tomorrow they may never see would be a day worth dying for. I long to see the fire that blazed in the spirits of men and women who those standing against the unquenchable change they represented attempted to douse with water that only served to baptize their resolve. I long to be in the time of those who could not be stopped because, as the spiritual declared, up above their heads they heard music in the air, and the song it sang was of freedom. Where is the dream? Dr. King spoke of a dream “deeply rooted in the American dream … that one day this nation will rise up, live out the true meaning of its creed: ‘We hold these truths to be self-evident, that all men are created equal.’” His was a dream that swelled beyond the voices of those who would have seen in those days some small step forward and called for him and his people to be satisfied. And as King and those who marched and prayed, stood up and sat in, bled and hung, lived and died, knew … we know today that we are not satisfied, and our struggle is not over. The justice King called for was a justice that rolled like water. Today we see the rising tide, but it is not justice rolling over us but indifference, prejudice, and the hard-hearted call to “move on” where change has festered, and time rolled back upon itself. Today we shudder at the unknown, recoil from the marvel of a diverse humanity, and turn blind eyes to the same creative suffering that plagued our nation in the days our Constitution’s promise of life, liberty, and the pursuit of happiness cracked and bled under the weight of systems pungent with prejudice, persecution, and brutal injustice. And where are the dreamers? We are still here, but who would know it when we quiver at the thought of causing ripples where those who came before us made waves? Even I have let the dream of that brighter day become a shadow, a secret I keep to myself for fear that to share it will be unpopular and with it I, too, cast from the acceptability of public gaze. Today’s dreamers have become the dream deferred of Langston Hughes, a dream that instead of exploding into action dries up like a raisin in the sun. I admit I am ashamed to call myself a child of the dream who has not heeded the words of my forefathers, one who has lost the way… one who has let the dream wither in the shadow of silence. I come back to today and I bring with me the voices of those who have gone before me. The dream is not dead, and today I will not let it die. 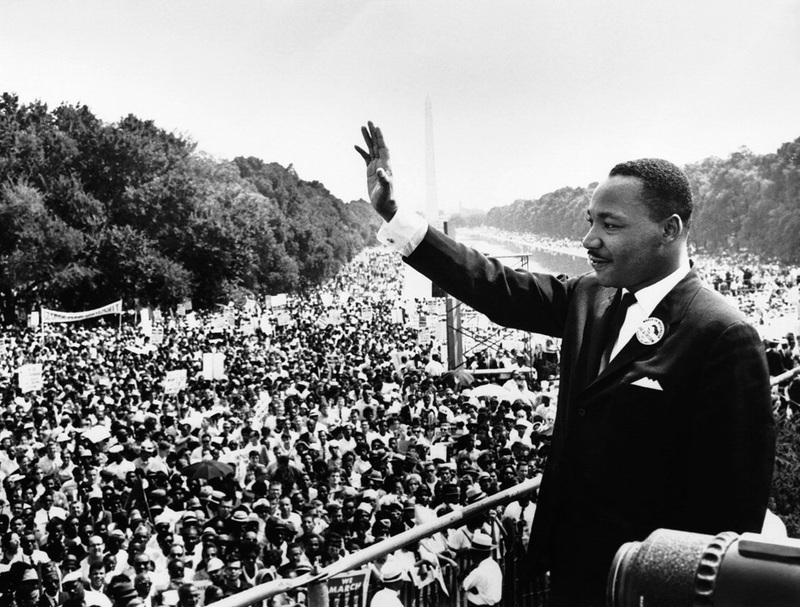 Today I say that though we face a tomorrow ripe with worry and fear and difficulty and pain, I, too, still have a dream. For too long our country has rationalized or averted our gazes from racism, racial, cultural, and social inequality, and institutional systems of oppression … but I still dream. For too long political disenfranchisement, economic inequities, and social injustices have gone unanswered … but I still dream. For too long our collective silence has given foothold to those who would divide us with hate and fear, who would steep our national dialog in the murky waters of divisive rhetoric and the blindness of bigotry, and who thrive on our willingness to pursue what is easy instead of what is right … but I still dream. I dream that on this day we will return to the strength of Kings, to freedom’s ring, and to lifting our voices and singing the harmonies of liberty, justice, and an ever brighter tomorrow. I dream that the faith of our past, and the hope of our tomorrow, will steady our hands and strengthen our feet as we march on toward that great victory our ancestors prayed into our reach. I dream that though the road ahead is long and paved in the blood marked progress of those who fought for a dream they would not live to see fulfilled, we will march on with courage and the strength of knowing that we, too, may pass from this world without seeing our dreams realized but tomorrow’s children will march beyond our bones to that promised land. I dream that we will rise up with integrity, with faith, and with the great assurance that what we march toward is worthy and right, and we will not give it up without a fight. And more than dream, I vow. I vow to carry on. I vow to reignite the flame. And I vow to fan that fire so that not even the mightiest wave can snuff it out, until the whole world burns with the bright light of freedom, of liberty, and of justice for all. I just shared on FB. As I said there: Wow. My heart is both full for the words you share, and broken for the same. Keep speaking your truth, your impressive way. Please. Thank you, Marie. Together we can surely keep the dream alive and thriving! Marie said what was on my heart as well. Beautifully and powerfully written. Won't it be wonderful when we are able to look back on history and wonder that there ever was such ugliness in the world? Thank you, Debi. That truly will be a bright and beautiful day! Khara, this is beautiful, and brave and so so necessary. THANK YOU. Thank you, De! I certainly hope I'm able, in any small way, to continue to honor the legacy Dr. King left for us all.